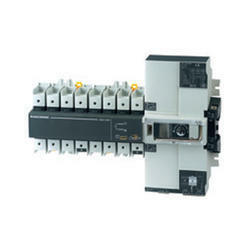 Being a quality oriented organization, we are involved in providing a supreme quality range of Remote Switch. Our company is highly esteemed in offering Remote Control Switch Board to the clients. We offer a comprehensive gamut of remote control switches of various esteemed brands to our clients. These multipurpose switches are extensively used in offices, showrooms, hospitals and residences to control light, fan or cooler. The switches come with remote control and are used as substitutes for ordinary switches. This Room Remote Control Switch controls 4 lights and 1 fan with Regulator. This control unit fits in any kind of electrical switch board. It is easy to instal in your existing electrical switch board. No need for alter your existing electrical wiring. Two-speed type, plus one of the function keys, pressed into the spin out of the emergency stop button and power switch, distance 100M (can be set up A / B / A + B cars function).